Napoli are prepared to table a fresh offer for Manchester United and Chelsea linked midfielder Nicolo Barella. Despite incessant speculation over his future, Barella has made up his mind about staying at Cagliari until the end of the current campaign. The midfielder has been on the wishlist of a number of big-ticket clubs, with Chelsea and Napoli believed to be interested in signing him in the transfer window this momth. Barella is not keen to quit Cagliari this month, but Napoli are not giving up on landing the midfielder. And, according to Italian outlet Calciomercato.it, Napoli are yet not ready to take no for an answer and are now preparing to table a fresh offer for the Cagliari midfielder. The Serie A giants are prepared to table a fresh offer of €40m plus add-ons and hope to convince Barella to consider moving to Napoli, if not in January, then in the summer. 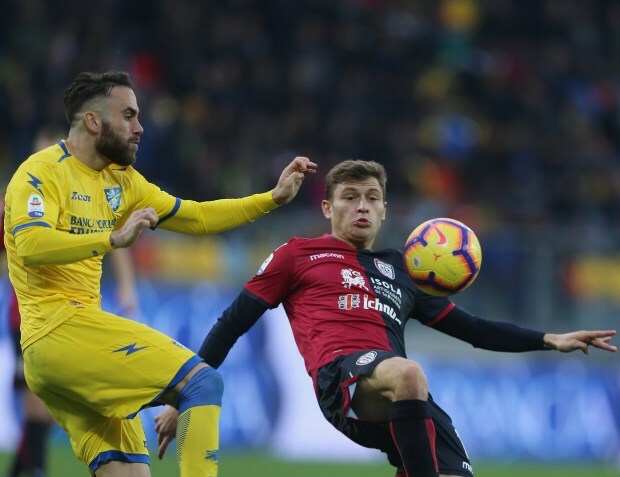 Barella’s decision to stay at Cagliari for the rest of the season has brought Inter back into the mix and the midfielder is said to be keener on a move to the San Siro. Premier League giants Manchester United have also added Barella to their shortlist of targets for next summer after receiving glowing reports from their scouts in Italy, while Chelsea boss Maurizio Sarri is a fan of the midfielder.